National Wetlands Assessment – Virginia. (EPA) 2011. PI. National Wetlands Assessment – Maryland (EPA) 2011. PI. Marine Debris Location and Removal Project (NOAA) 2008-2012. PI. Testing Biodegradable Crab Pot Panels (NOAA/NFWF) 2011. PI. Hardwood Mineral Flats Hydrogeomorphic Guidebook (EPA) 2008-2012. PI. On-Going Development of Nontidal Wetland Inventory and Monitoring Strategy for Virginia (EPA) 2008-2010. PI. State of the Chowan and Pasquotank River Basins – North Carolina (EPA – APNEP) 2009-2010. PI. State of the Chowan and Pasquotank River Basins – Virginia (EPA – VaDCR) 2010. PI. Reducing the Impacts of Derelict Crab Pots (NOAA-SeaGrant) 2010. PI. Reducing Impacts of Lost Crab Traps on Fishery Resources (NOAA-NFWF) 2009-2010. PI. Regional Environmental Monitoring and Assessment Program (EPA) 2007-2012. Co-PI. Strengthening Virginia’s Wetlands Management Programs (EPA) 2009-2011. Co-PI. By-Catch Reduction Strategies for Commercial and Recreational Blue Crab Fisheries (NOAA) 2011-2012. Co-PI. APNEP Technical Support Team for Ecosystem Based Management (APNEP) 2010-2011. Co-PI. Facilitate and support Ecosystem Based Management implementation in the APNEP region. APNEP. 2010 – 2011. Co-PI. Continuing Development of a Nontidal Wetlands Inventory and Monitoring Strategy for Virginia. EPA. 2008-2010. PI. Abandoned and derelict blue crab traps in Virginia. NOAA (Versar Inc). 2008-2009. PI. York River Watershed Water Budget. 2008-2009. Philip Morris USA. Co-PI. Mid Atlantic States Regional Wetlands Assessment. EPA/ORD. 2007-2009. Co-PI. Development of a Nontidal Wetland Inventory and Monitoring Strategy for Virginia. Ridge & Valley and Appalachian Plateau Physiographic Provinces. EPA, 2007-2008. PI. The influence of spatial arrangement of habitats on tidal marsh fish communities within Mobjack Bay, Virginia, Phase 1, 2007-2008. Co-PI. Bilkovic, D., K.J. Havens, D. Stanhope, and K. Angstadt. The use of biodegradable cull ring panels to reduce derelict crab pot threats to marine fauna. Marine Pollution Bulletin. In review. Havens, K.J., D. Bilkovic, D. Stanhope, and K. Angstadt. 2011. Fishery Failure, Unemployed Commercial Fishers, and Lost Blue Crab Pots: An Unexpected Success Story. Environmental Science and Policy 14(4): 445-450.
for Wetlands of the Mid-Atlantic Region, USA. Wetlands DOI 10.1007/s13157-011-0158-7. Havens, K.J., D. Bilkovic, D. Stanhope, and K. Angstadt. 2009. Location, location, location: the importance of cull ring placement in blue crab traps. Transactions of the American Fisheries Society 138:720–724. Perry, J., D.M. Bilkovic, K. Havens, and C. Hershner. 2009. Tidal Freshwater Marshes of the Mid-Atlantic and Southeastern United States. In Tidal Freshwater Wetlands, pp. 157-166. Eds: A. Barendregt, D.F. Whigham, A.H. Baldwin; Backhuys Publishers, Leiden, The Netherlands. Hershner, C. and K.J. Havens. 2009. Ecosystem Services and Management of Invasive Species in a Changing System: Response to Martin and Blossey. Conservation Biology 23 (2): 497-498. Brooks, R., M. McKenney-Easterling, M. Brinson, R. Rheinhardt, K. Havens, D. O’Brien, J. Bishop, J. Rubbo, B. Armstrong, and J. Hite. 2009. A Stream–Wetland–Riparian (SWR) index for assessing condition of aquatic ecosystems in small watersheds along the Atlantic slope of the eastern U.S. Environmental Monitoring and Assessment 150: 101-117. Hershner, C. and K.J. Havens. 2008. Managing invasive aquatic plants in a changing system: strategic consideration of ecosystems services. Conservation Biology 22 (3): 544-550. Chambers, R., K.J. Havens, S. Killeen, and M. Berman. 2008. Common reed Phragmites australis occurrence along estuarine shoreline in Chesapeake Bay. Wetlands 28(4): 1097-1103. Havens, K.J., D.M. Bilkovic, D. Stanhope, K. Angstadt, and C. Hershner. 2008. The effects of derelict blue crab traps on marine organisms in the lower York River, Virginia. North American Journal of Fisheries Management 28(4):1194-1200. Hershner, C., K.J. Havens, D. Bilkovic, and D. Wardrop. 2007. Assessment of Chesapeake Bay Program Selection and Use of Indicators. EcoHealth 4(2): 187-193. Wardrop, D., C. Hershner, K. Thornton, K. J. Havens, and D. Bilkovic. 2007. Developing and communicating a taxonomy of indicators of aquatic health. EcoHeath 4(2): 179-186. Bilkovic, D.M., M. Roggero, C.H. Hershner, and K. J. Havens. 2006. Influence of land use on macrobenthic communities in nearshore estuarine habitats. Estuaries and Coasts 29(6B): 1185-1195. This research was selected to be featured in an edition of Coastal and Estuarine Science News (February 2007). 741 Environmental Law & Science Clinic 1998- 2001 (joint project with W&M Law School. Wetlands Ecology William & Mary Environmental Law Class, Taskinas Creek, Toano, October 2010. Derelict Crab Pots in the Chesapeake Bay, Virginia Aquarium Virginia Beach, VA October 2010. Lost Crab Pots in the Chesapeake Bay Chesapeake Retirement Community, VIMS, September 2010. "Ghost" crab pots Rotary VIMS, June 2010. Nontidal Wetlands Condition Assessment, Mid Atlantic Wetlands Workgroup Annapolis, MD, May 2010. Lost Crab Pots, Wetlands Symposium, VIMS, April 2010. Marine Debris - derelict crab pots VMRC Blue Crab Advisory Committee Newport News, VA, March 2010. Marine Debris Location and Removal Project. NOAA Federal Disaster Funds Project Manager, Newport News, VA, December 2010. Ghost Blue Crab Pots, Coastal Partners Richmond, VA, December 2010. Ghost Blue Crab Pots, US Coast Guard Portsmouth, VA, December 2010. VA House of Delegates, Chesapeake Subcommittee presentation. Marine Debris. 2009. Mid Atlantic Wetlands Work Group. Nontidal wetlands condition assessment in VA. 2009. Briefing for Congressman Wittman (VA). April 22, 2009. Development and Implementation of a Process for Establishing Chesapeake Bay Program’s Monitoring Program Priorities and Objectives. Briefing for VA Secretary of Natural Resource, Preston Bryant and VMRC Commissioner Bowan. April 30, 2009. Marine Debris and Blue Crab Trap Removal Program. Functions and Values of Wetlands. 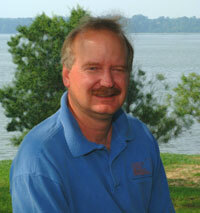 Keynote speaker for symposium “Why Protect Wetlands? Why Can’t We Just Replace What We Destroy?” Piedmont Environmental Council. Prince William County. June 27, 2008. Derelict Blue Crab Traps in the Virginia Portion of the Chesapeake Bay, Virginia Environmental Health Association, Gloucester Point, VA, April 18, 2008. Derelict Blue Crab Traps in the Virginia Portion of the Chesapeake Bay. NOAA Marine Debris Forum, Bethesda, MD, April 1-3, 2008. Invasive Species: Phragmites austalis. VIMS/NERRS Discovery Lab. February 19, 2008. Derelict blue crab trap impacts on marine fisheries in the Lower York River, Virginia. American Fisheries Society, 137th Annual Meeting. “Thinking Downstream and Downcurrent: Addressing Uncertainty and Unintended Consequences in Fish and Fisheries”. San Francisco, CA. September 2-6, 2007. Wetlands Assessment in Virginia. Association of Mid-Atlantic Aquatic Biologists. Berkley Springs, WV. April 5, 2007. Developing Indicators of Watershed Health. CBP/STAC workshop. Annapolis, MD, February 2007. Steering Committee. Derelict Crab Traps in the Cheseapeake Bay. Chesapeake Bay Foundation Green Breakfast. Hampton, VA, December 9, 2006. Nontidal Wetland Assessment. November 14-15, 2006. Mid Atlantic Wetlands Workgroup. Davis, WV. Derelict Crab Traps in the Chesapeake Bay. Chesapeake Bay Commission. Virginia Beach, VA, November 10, 2006. Nontidal Wetland Assessment. November 6, 2006. Briefing for ACOE District Engineer Col. Dionysios Anninos. Affect of Derelict Crab Traps on Chesapeake Bay Fisheries. Special Briefing to US Senate and Va. General Assembly members, Commissioner of the VMRC, and the Asst. Secretary of Commerce. Yorktown, VA. August 31, 2006. Blue Crabs, ghost pots, and the Chesapeake Bay. USDA, NRCS East Region Technical Workshop, April 25, 2006. Assessing Cumulative Impacts of Shoreline Modifications. NOAA / CBP STAC workshop. February 9-10, 2006. Steering Committee. The Importance of Non-tidal Land and Waters in Basin Dynamics. Estuarine Research Federation Conference: October 16-20, 2005. A Protocol for Assessing Wetland Condition by Hydrologic Unit within the Coastal Plain of Virginia, USA. Society of Wetland Scientist 26th Annual Meeting/Conference, Charleston, SC. June 5-10, 2005. A Protocol for Assessing Wetland Condition in Virginia. Virginia Association of Wetland Professionals. May 19, 2005, Fredericksburg, VA.
A Protocol for Assessing the Condition of Wetlands. New England Bottomland Assessment Workgroup & Mid-Atlantic Wetlands Workgroup. New York, NY 2005. Level 1 and Level 2 Assessments of Virginia’s Nontidal Wetlands. Mid-Atlantic Wetlands Workgroup. Delaware. 2005. All Drains Lead to the Bay. Marine Science Day. May 2005. Havens, K.J., D. Bilkovic, D. Stanhope, K. Angstadt. Marine debris in Virginia portion of the Chesapeake Bay. American Fisheries Society, San Franciso, CA. 2007. Havens, K.J. and D. Waldrop. Developing, Communicating, and Utilizing a Taxonomy of Indicators of Aquatic Health. National Estuarine Research Reserve (NERRS) managers. 2005. Havens, K.J. Wetlands of Virginia. US EPA Region III. Philadelphia, PA, May 2, 2005. Havens, K.J. Assessing Wetland Condition in Virginia. Public Hearing, VA Dept of Environmental Quality, Virginia Commonwealth University, January 13, 2005. Havens, K.J. Phragmites australis (Common Reed Grass): A Threat to Biodiversity or a Natural Component of the Ecosystem. Richmond Science Museum. 2004. Havens, K.J., D. O’Brien, T. Rudnicky, D. Schatt, D. Stanhope, and K. Angstad. A Protocol for Assessing Wetland Condition by Hydrologic Unit within the Coastal Plain of Virginia, USA. Estuaries and Change – ECSA/ERF, Ballina, Australia, Jul 2004. Patent. Pending WM807. Degradable cull ring panels for crab traps. Co-Host/Co-Producer – A Healthy Bay for Healthy Kids: Cooking with Virginia’s First Lady. Grade school children follow along with Virginia’s First Lady as a Chef shows how to make a healthy Chesapeake Bay seafood dish. Film Documentary, 1996, Dans la Nature avec Stephane Peyron, (In the Wild with Stephane Peyron), Featured in film for thermal imagery work with black bears. Canal+ Productions, France. Co-Author – Strategic Plan, Center for Coastal Resources Management, Virginia Institute of Marine Science, College of William & Mary. Masters Thesis Committee – Rebekah Packette 2003-2005. College of William and Mary. “Distribution and Expansion Rates of Phragmites australis along a Salinity and Nitrogen Gradient”. Doctoral Thesis Committee - Jennifer Newton 1999 - 2003, “An analysis if wetland patterns and functions at the watershed and sub-watershed scales, with policy applications”. Masters Thesis Committee (Co-Major Advisor) - Rebecca Arenson, 1998 - 2003, ”A comparison of the soil temperature, microbial activity season, and plant growing season in hardwood mineral flat wetlands, southeast Virginia”. Masters Thesis Committee - Mike Campana, 1997-1998, “The effect of Phragmites australis invasion on community processes in a tidal freshwater marsh”. Masters Thesis Committee - Lynn Dancy, 1996-1997, “Development of a protocol to identify and prioritize preservation areas as wetland compensatory mitigation”. Senior Honors Thesis Advisor – College of William & Mary, Christopher Pyke, 1996, Application of GIS in examining the relationship of marsh surface sediment supply and invasion by reed grass, Phragmites australis. Highest honors from College of William & Mary Department of Geology. US Environmental Protection Agency Science Advisory Board. Great Lakes Restoration Initiative Action Plan Panel. 2011. Briefing for VMRC Blue Crab Advisory Committee. 2010. Marine debris location and removal program. Co-Chair Chesapeake Bay Program Scientific & Technical Advisory Committee Monitoring Priority Workgroup. Publication: Wardrop, D. and K. J. Havens. 2009. Development and Implementation of a Process for Establishing Chesapeake Bay Program’s Monitoring Program Priorities and Objectives. Expert witness on wetlands for US EPA. 2008. Vico Construction Corp & Amelia Venture Properties, LLC vs. US EPA. Docket No. CWA-03-2001-0021. Report to the Governor and General Assembly of Virginia. House Document No. 7., Havens, K. J., D. Bilkovic, D. Stanhope, K. Angstadt, and C. Hershner. 2008. Study on abandoned and discarded blue crab traps., Richmond. Briefing for the VMRC Blue Crab Workgroup. Derelict crab traps. Newport News,Va. 2007. Briefing for the Chesapeake Bay Commission. Derelict Crab Traps in the Chesapeake Bay. Chesapeake Bay Commission. Virginia Beach, VA, November 10, 2006. Briefing for ACOE District Engineer Col. Dionysios Anninos. VIMS Nontidal Wetland Assessment Protocol. November 6, 2006. Special Briefing to US Senate and Va. General Assembly members, Commissioner of the VMRC, and the United States Asst. Secretary of Commerce. Affect of Derelict Crab Traps on Chesapeake Bay Fisheries. Yorktown, VA. August 31, 2006. Briefing for VA Secretary of Natural Resources Preston Bryant. VIMS Nontidal Wetland Assessment Protocol. June 27, 2006. Virginia Gubernatorial (Governor Warner appointee, Governor Kaine reappointment, Governor McDonnell reappointment) representative to the Chesapeake Bay Program Scientific and Technical Advisory Committee. Scientific advisory committee to the Governors of Maryland, Pennsylvania, and Virginia, the Mayor of D.C., the Administrator of the U.S. EPA, and the Chesapeake Bay Commission. Chesapeake Bay Program. 2002-2010. Vice Chair/Chair-elect. Member of the Mid Atlantic Wetlands Workgroup (MAWWG) consisting of participants representing federal and state regulatory personnel and scientists from the following states: Delaware, Maryland, New Jersey, New York, North Carolina, Ohio, Pennsylvania, Virginia, and West Virginia. This focused membership includes both users and developers of monitoring and assessment tools. 2002 – Present. Steering Committee. APNEP Comprehensive Conservation and Management Plan (CCMP). The Committee is tasked with updating the 1994 Comprehensive Conservation and Management Plan. Board Member and Executive Committee Member. Albemarle-Pamlico Sound Scientific and Technical Advisory Committee. Develops near- and long-term action plans, reviews draft documents and makes recommendations to the Management Council. 2004-2007. Board Member and Executive Committee Member. Policy Committee for the Albemarle-Pamlico National Estuary Program. The committee is responsible for identifying problems in the estuarine system, generating research where gaps in knowledge existed, increasing public awareness of environmental issues, and finding solutions to address those issues. Facilitator. 2002. Phragmites australis Draft Management Plan. IN: Invasive Species in the Chesapeake Bay Watershed: a workshop to develop regional invasive species management strategies, F.C. Moser (Ed. ), Maryland Sea Grant College. Maryland Sea Grant Publication # UM-SG-TS-2002-03. Member. Chesapeake Bay Local Assistance Department. Ad-Hoc Committee on Chesapeake Bay Preservation Area delineation. 2005-Present. Member. Forestry Workgroup, Nutrient Subcommittee, Chesapeake Bay Program. 1998 - 2006. Coordinates, develops and implements plans and projects which focus on the contributions of forest lands in restoring the health and productivity of the Chesapeake Bay watershed and in retaining their economic potential. The workgroup provides a forum to discuss issues and identify opportunities among the forestry community, interested individuals and organizations, and federal, state and local governments. President (2006-2009). American Canoe Association. The American Canoe Association (ACA) is a nationwide, not for profit, 50,000 member organization that is in service to the broader paddling public (approximately 30-50 million citizens) by providing education on matters related to paddling, supporting stewardship of the paddling environment, and enabling programs and events to support paddlesport recreation. Founded in 1880, this marks the third century that the ACA has actively promoted paddlesports across the U.S., providing programs and services to its members and the American public.